Shortly after the releases, Olympus Tough digital camera models have quickly captured that attention of many consumers on the market. Available at competitive prices, they offer excellent performance in a truly rugged and durable construction. However, with the abundance of options available, you may get confused to choose one. 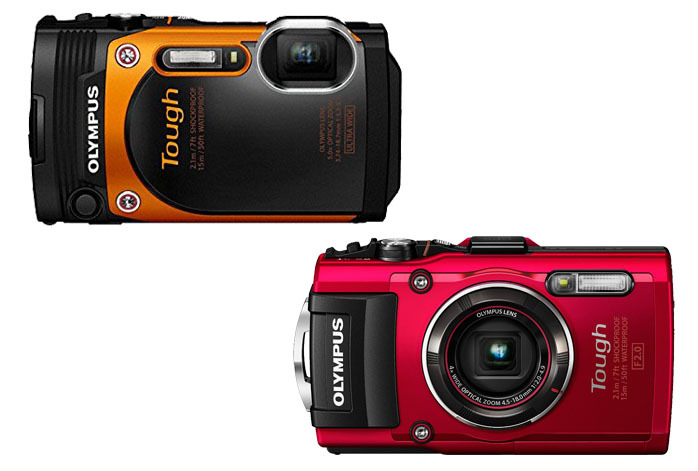 For example, Olympus TG-860 and Olympus TG-4 are two models in a similar price range. As a matter of fact, Olympus TG-4 was released only a few weeks after Olympus TG-860. So, what are actually the differences between the two models? At first, Olympus TG-860 and Olympus TG-4 may seem like just identical models in different clothing. This is due to the fact that many people tend to compare only the pixel counts and image sensors. Of course, each of these models is armed with a 16 MP 1/2.3” CMOS image sensor, which is also able to record videos in up to 1920 x 1080 (Full HD) quality. Both also have top-notch environmental sealing, which means that you can use these digital cameras under extreme weather and climate conditions with no problem. It is just that Olympus TG-860 has the lens placed at the top right corner whereas Olympus TG-4’s lens is at the center. On the other hand, Olympus TG-4 comes with a 25-100mm lens with a maximum zoom of 4X. In addition, it also has 5.0-fps photo burst. However, Olympus TG-4 has its own virtues. First and foremost, it comes with RAW support, which offers better image quality than JPEG format. If RAW support is important to you, then Olympus TG-4 is the way to go. Additionally, Olympus TG-4 also comes with various autofocus features. It provides manual exposure control, along with AE Bracketing, Focus Bracketing, and Focus Stacking. For a general-purpose digital camera, you should go with Olympus TG-4. Its features are useful for multiple purposes and conditions, making it a more versatile digital camera. However, if you require the extra tele reach, then Olympus TG-860 is the way to go.